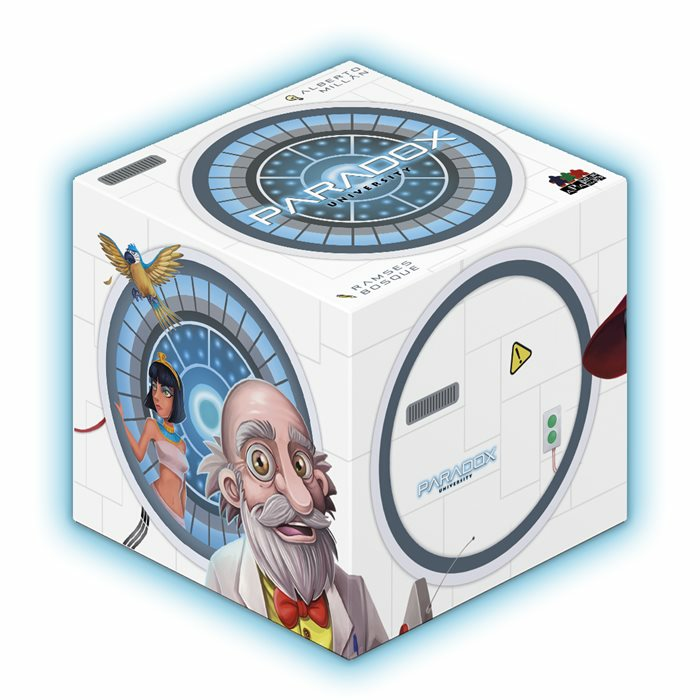 Paradox University is a card game, with memory and mental dexterity for 1 to 4 players ready to rack their brains. You will have to send characters to various timelines where your opponents are to provoke time paradoxes without them noticing. Play alone as Madame Eternity and destroy the Universe. 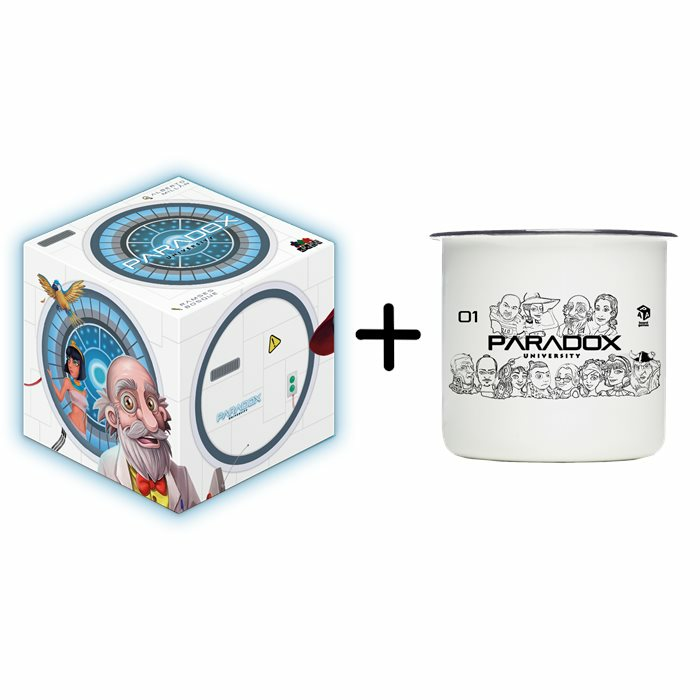 Dos nuevos personajes para Paradox University - ¡Add-on solidario! //// Two new characters to add to Paradox University - Solidary add-on! Vintage metal mug with an exclusive design. Paradox University core game and all unlocked stretch goals. 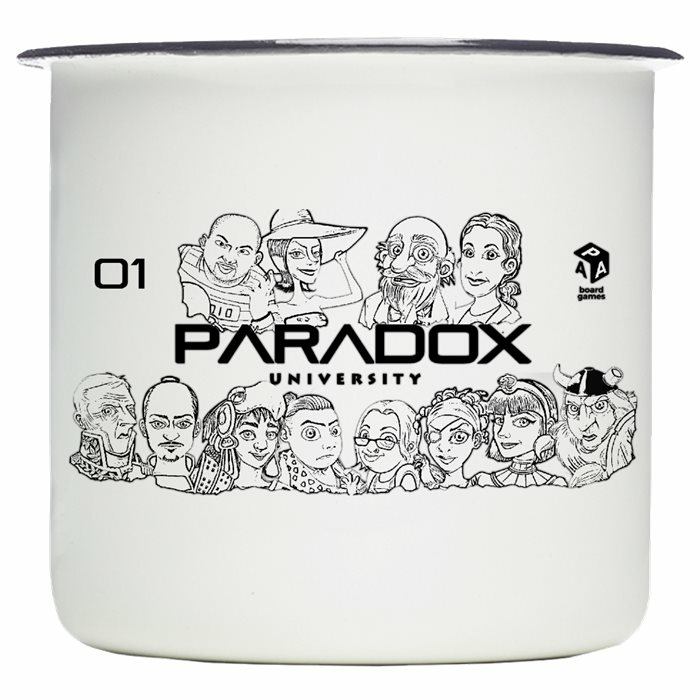 Paradox University core game and all unlocked stretch goals + Vintage metal mug with an exclusive design.